One of the biggest lessons I had to learn when I was adjusting to a strict gluten-free diet was how to read labels. Gluten is in everything. Or at least it feels like it some days. If I can’t check the label, I’m not going to eat it. That may sound extreme, but when your health depends on the ingredients in your food, it’s worth it to be a stickler. I’m pretty savvy with predicting when gluten is going to pop up. Some brands of stock, most canned soups, lots of salad dressings, Bloody Mary mix, and soy sauce are all gluten land mines. But then there are a lot of labels with hidden sources of gluten. 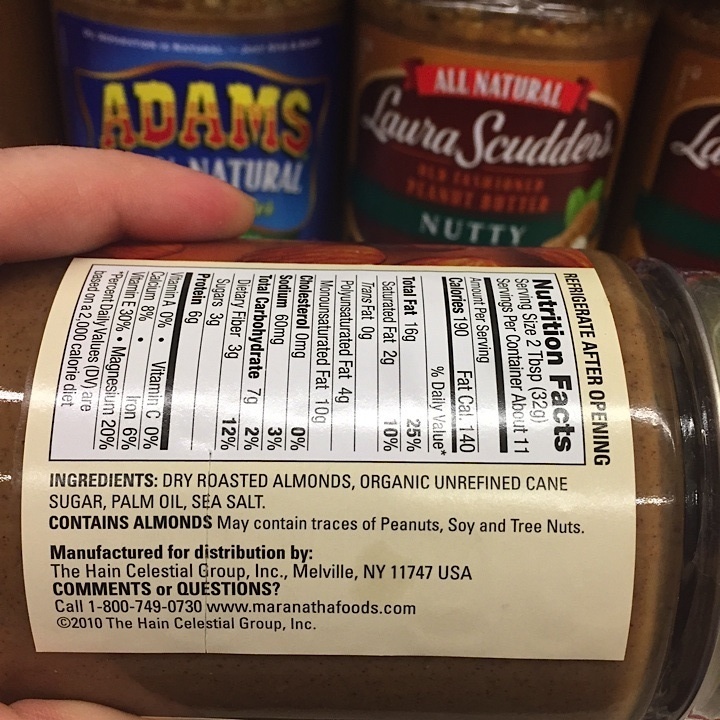 The ingredients list won’t say “GLUTEN,” but it will say malt, modified food starch or hydrolyzed protein, or even natural flavor – all potential sources of gluten. But then I started getting burned by foods that I thought were safe. My favorite hummus changed the recipe to include soy sauce. A new mustard I bought without looking at the label ended up having wheat flour in the ingredients. I’m serious about my gluten-free diet, but I need to be more serious about making my food from ingredients I know and trust. Making my own food also means a difference in my wallet. It’s great that more awareness of gluten-free food has led to more products available at the grocery store, but sometimes a “Gluten Free!” label means an extra 20 percent on my grocery bill. Buying things like chickpeas, vegetable stock and olive oil in bulk – or at least full-size bottles – means that I’m not paying a premium for someone else to do the work for me. Chicken Stock, Broccoli, Cream (Milk), Celery, Vegetable Oil (Corn, Cottonseed, Canola, and/or Soybean), Contains Less than 2% of: Modified Cornstarch, Cheddar Cheese (Dried) (Cheddar Cheese [Milk, Cultures, Salt, Enzymes], Cream, Salt, Sodium Phosphate, Lactic Acid), Salt , Wheat Flour , Onions (Dried), Broccoli (Dried), Cheddar Cheese (Milk , Cultures, Salt , Enzymes), Maltodextrin, Parmesan Cheese (Milk, Cultures, Salt , Enzymes), Soy Protein Concentrate, Yeast Extract, Flavoring, Nonfat Milk, Butter (Dried) (Cream [Milk ], Salt), Garlic (Dried), Buttermilk (Dried), Roasted Garlic (Dried), Spice, Sunflower Lecithin, Annatto Extract for Color, Soy Lecithin. Broccoli florets, vegetable broth, water, kosher salt, ground black pepper, ground nutmeg, cheddar cheese. Great northern white beans, water, tahini (pureed sesame seeds), canola oil, garlic, soy sauce (water, wheat, soybean, salt), lemon juice concentrate, citrus fiber, cultured dextrose (for freshness), olive oil, sun dried tomatoes, salt, phosphoric acid and malic acids, parsley, white pepper, paprika. Chickpeas, sun-dried tomatoes, olive oil, fresh lemon juice, garlic, tahini, kosher salt, paprika. Soybeans Oil, Water, Vinegar, Sugar, Cheese Romano From Cow’s Milk (Milk Part Skim, Cheese Culture, Salt, Enzymes), Eggs Yolks, Cheese Parmesan (Milk Part Skim, Cheese Culture, Salt, Enzymes), Contains 2% or less of the following: (Salt, Vinegar Red Wine, Garlic Dried, Spices, Phosphoric Acid, Fish Anchovies, Xanthan Gum, Citric Acid, Onions Dried, Molasses, Corn Syrup, Yeast Extract Autolyzed, Soy Flour Defatted, Disodium Guanylate, Disodium Inosinate, Caramel Color, Tamarind, Flavors Natural, Sorbic Acid, Calcium Disodium EDTA). Olive oil, water, fresh lemon juice, white wine vinegar, kosher salt, Worcestershire sauce, Dijon mustard, ground black pepper, egg yolk, garlic, grated Parmesan cheese. Kraft dressing is a budget friendly item, but it’s not so friendly to folks trying to cut down on their processed foods. 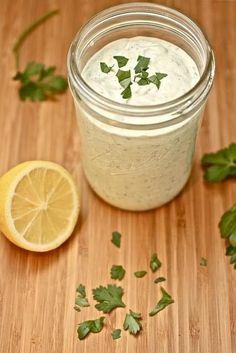 Since I already had almost all of the ingredients for the Blendtec Caesar dressing in my pantry, it was easy and inexpensive to make my own dressing. Buying all of the ingredients for the dressing might run you about $20, but you’ll be able to make Caesar dressing for months with one batch of pantry ingredients plus fresh eggs and lemon. That’s what you’ll find as you make more and more of your food at home with the Blendtec. A stocked pantry means fewer emergency trips to the store, and the cost per meal will keep going down. While I love the convenience of Trader Joe’s, I think I’m going to love using the Blendtec Designer 725 to make my own food more. The first step to overcoming an addiction is admitting you have a problem, right? Well, my name is Jennifer, and I have an addiction to kitchen gadgets. The Blendtec Designer 725 is indeed another kitchen appliance, but can you give me a pass if I prove to you how it replaces all the other appliances on my counter? I used to be a pretty bad cook. My repertoire consisted of pasta with jarred sauce and grilled cheese sandwiches with tomato soup (also canned). My kitchen was complete with a few hand-me-down pots and pans and a spatula. Then I discovered that I have a severe gluten intolerance and for health reasons I would have to follow a strict gluten-free diet. This was before gluten-free options filled supermarket shelves and every restaurant has a special menu. If I wanted to eat, I was going to have to learn how to cook. In my excitement to improve my cooking skills, I started to build my new appliance collection lining my kitchen counter. I had to get a new toaster to replace the old gluten-filled one. Then when I started baking for myself, Santa brought me a professional level stand mixer. Next came the food processor, blender, immersion blender, margarita maker, ice cream maker, rice cooker, and toaster oven. Now, some of these appliances are used very frequently – I keep my stand mixer on the counter to encourage me to bake more. Some of them are even multi-use. My rice cooker has a steamer basket to cook veggies at the same time. But I started to wonder if I really needed five different appliances to puree, mix, combine and blend food. Even with all of these appliances to perform various tasks, they didn’t always work the way they were supposed to. I tried to puree butternut squash soup in my $30 blender and ended up with hot soup sprayed across the counter. The immersion blender worked a bit better, but I still haven’t gotten the hang of the suction to the bottom of the pot when I turn it on. The margarita machine was just a joke. Thank goodness it was a garage sale find because I would never pay for the watery margaritas it produces. So how does the Blendtec Designer 725 replace these appliances? I’ve been trying out some of the most common things I make with various appliances, and I’ve been extremely impressed. The Blendtec is without a doubt an improvement over my $30 blender. I have no clue what power was behind my old one, but I can guarantee it’s less than the 1725 watt Blendtec Designer 725. I’m also a big fan of the blunt safety blade and one-piece jar. I cut myself a few times on the sharp blades of my old blender when I was trying to take the jar apart to clean it. I’m a stickler for a clean kitchen, so the clean cycle and easy-to-clean touch screen are ideal for me. I can’t imagine my old blender serving any purpose that the Blendtec Designer 725 couldn’t handle, so the cheapie is going in the donation box. I primarily use the immersion blender to puree soups and sometimes to whip up a quick vinaigrette. As I already mentioned, the immersion blender has often been difficult to use and the sound drives my dog crazy. While it doesn’t take up much space in the kitchen, I could ditch it for the sake of streamlining my drawers. The broccoli soup I made from the Blendtec recipe book was supposed to be a bit chunky but I was so excited at how the Blendtec heated my soup that I got a little overzealous with adding time. Lucky me, because the broccoli cheddar soup was smooth and velvety – almost whipped. 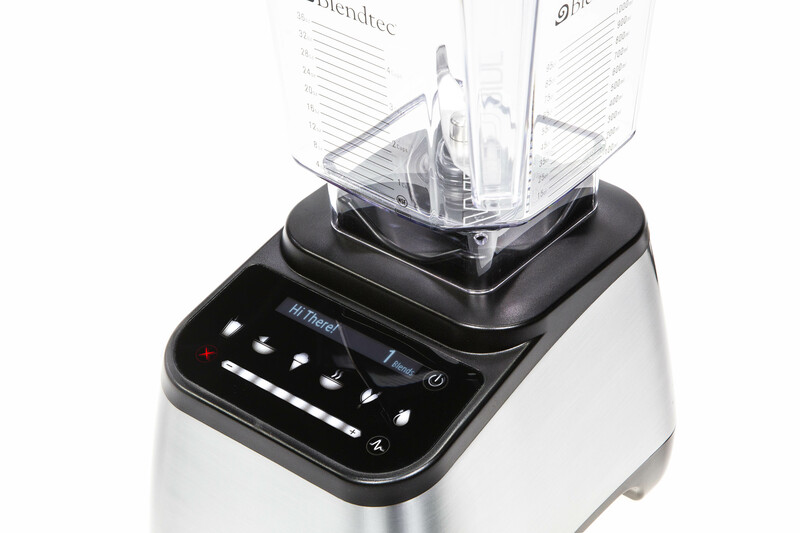 Instead of cooking and heating your ingredients in a stockpot, then using the immersion blender, the Blendtec executes every step of the soup in the blender jar. I would be embarrassed to serve the margaritas that my old novelty appliance served. That thing has been gathering dust for months. 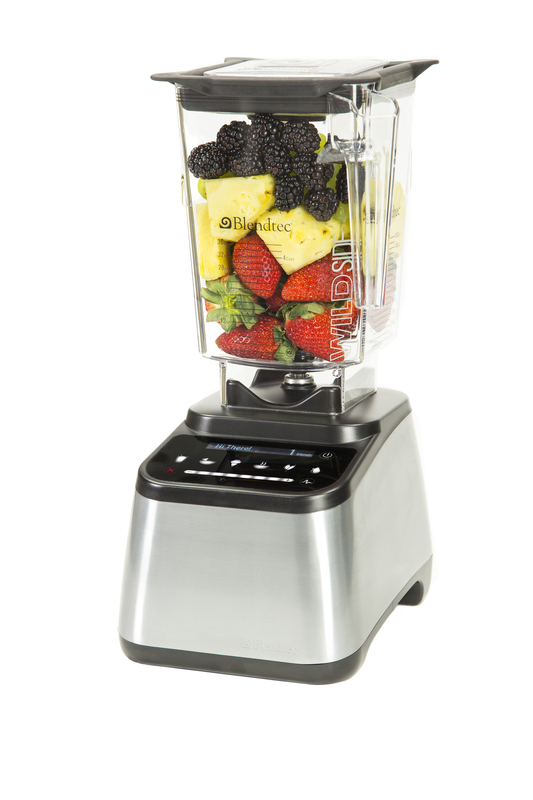 Since I got the Blendtec, I’ve been making delicious smoothies every morning with frozen fruit and almond milk. I can’t wait for the next time I have friends over so I can impress them with different flavors of frozen cocktails. With the super-easy clean cycle there’s no down time between switching flavors. Guys, I’m not even going to lie to you. I have never used the ice cream maker sitting in my cabinet. It’s just one of those appliances that takes a lot of prep work and a lot of time; way more effort than picking up a pint of Häagen Dazs. I’ve been making most of my smoothies for breakfast, but I confess I made one with bananas, peanut butter and chocolate syrup that would be perfect for a dessert treat. I might have talked myself into kitchen appliance recovery. My stand mixer is still my baby, but I can’t wait to continue testing the Blendtec with all my other recipes for blending, pureeing, crushing and pulverizing. How many gadgets and gizmos do you have in your kitchen? I’m guilty of buying a specialty tool or appliance almost every time I go to Target. You need to cut a vegetable? I have a vegetable peeler, a julienne peeler, a food processor, and a mandolin slicer. Oh, and I have knives. How often do these specialty tools get used? When it comes to getting food on the table quickly, I reach for the same standbys and the fun stuff stays in a drawer. Unfortunately that means I’m stuck making the same old standby recipes, too. 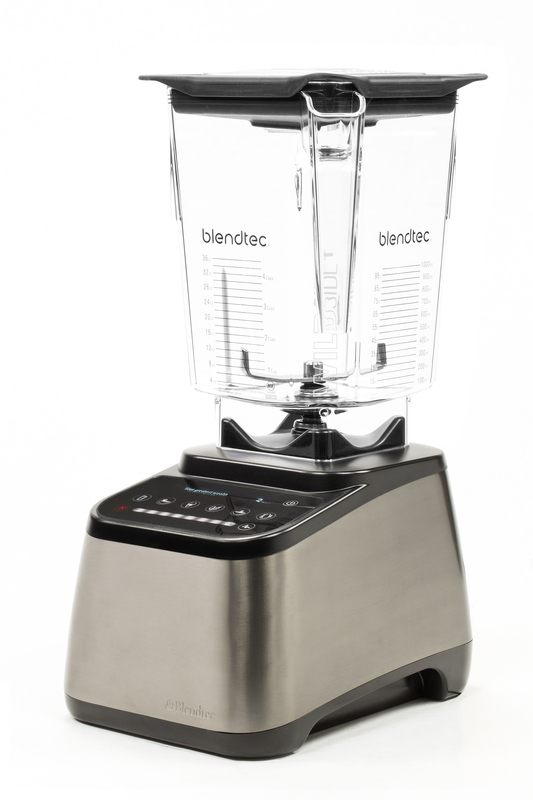 While a high-end, high-powered blender might be a specialty tool for some people, I’ve had my eye on a Blendtec for a while. 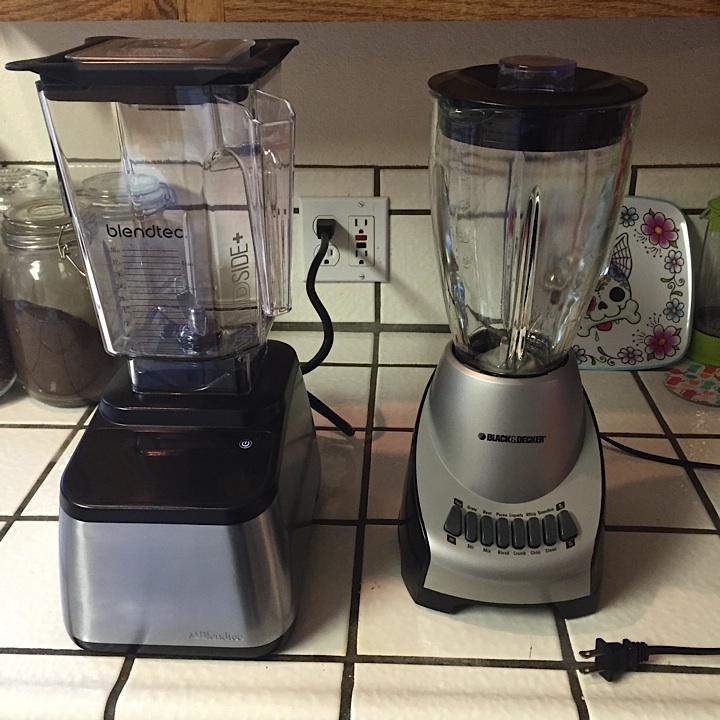 I saw a demonstration of what this blender could do about a year ago, and I was impressed. Since then, every time I make soup, or rush out of the house without breakfast, or drop $20 at the store on hummus (hey, I like hummus), I thought about what I could do with a Blendtec. With the opportunity to test the Blendtec Designer 725, I wanted to skip the novelty “Will it Blend?” tests and get down to what really matters to me in the kitchen. I don’t want to have to re-read the manual every time I want to use an appliance. 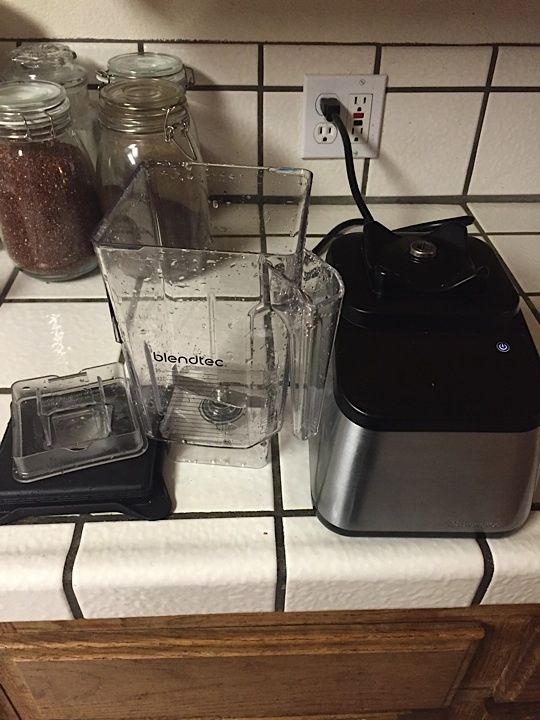 I opened up the Blendtec box and was whipping up my first smoothie within 60 seconds. Sure, there is a manual, but I’ll be looking at it more for the dozens of recipes included in the box. The base of the Blendtec has an interactive touch screen. It’s a friendly blender, with words of encouragement and easy-to-follow instructions. With preset cycles for smoothies, frozen treats, juice, soup, dips, and even the clean cycle, it’s pretty foolproof. I did have a tiny bit of confusion when a recipe called for “Level 7” instead of any of the presets, and the first few times I tried to pulse I just turned it off, but that was all in the first five minutes of using it. By minute 10 I felt like an expert. If a tool or appliance takes longer to clean than the time I spend using it, it’s not getting used. Also, I recently moved from a condo with a dishwasher to a house WITHOUT a dishwasher. My tolerance for cleaning fiddly parts is pretty low. Imagine my glee to discover the preset button for cleaning. This is by far the easiest to clean blender I have ever used. 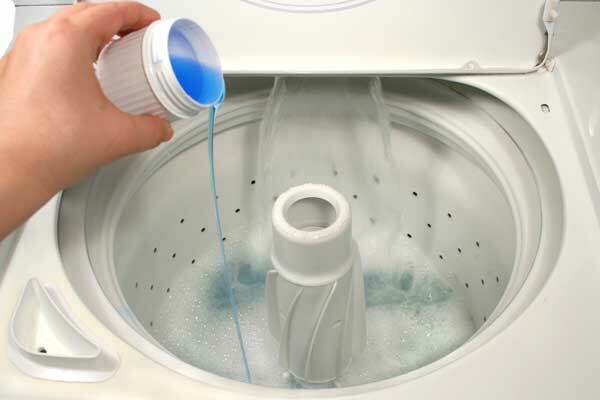 Dump a cup of water and a drop of dishsoap into the jar, and press clean. Rinse, and you’re ready for your next blend. Word of warning: When they tell you to make sure the lid is secured tightly before blending food, they probably mean that for the cleaning cycle, too. I sprayed suds all over my kitchen counter, but with the sealed touchscreen base, I didn’t have to worry about the water damaging anything. When I made broccoli soup in the blender I did have to swipe a sponge across some stuck on food near the top of the jar, but the one-piece jar was so much easier to clean than my old $30 blender with rubber gaskets and separate blades. I follow a very strict gluten-free diet, so it’s extremely important that I know every ingredient going into my food. That usually means I prepare things from scratch instead of buying processed versions. I need tools that help make that job easier. (Milk, Cultures, Salt, Enzymes), Soy Protein Concentrate, Yeast Extract, Flavoring, Nonfat Milk, Butter (Dried) (Cream [Milk], Salt), Garlic (Dried), Buttermilk (Dried), Roasted Garlic (Dried), Spice, Sunflower Lecithin, Annatto Extract for Color, Soy Lecithin. Steamed broccoli, vegetable broth (I used homemade stock), water, kosher sea salt, ground black pepper, ground nutmeg, cheddar cheese. I try to shop at farmer’s markets for in-season food, and while I don’t always buy organic, I’m picky about the produce I get at the grocery store. When I go to all that effort, I want my ingredients to shine. I tried some basic recipes out of the Blendtec cookbook that came with the blender – a green smoothie, hummus, almond butter, and broccoli soup to start. I was very impressed with the simple instructions that produced a good, solid base to work with. With all of those recipes, I divided up the end result and threw it back into the Blendtec to make new flavor combinations. My green smoothie got a tropical twist with extra pineapple and mango. Plain hummus turned into spicy roasted garlic hummus. I made a sweet treat out of chocolate almond butter. 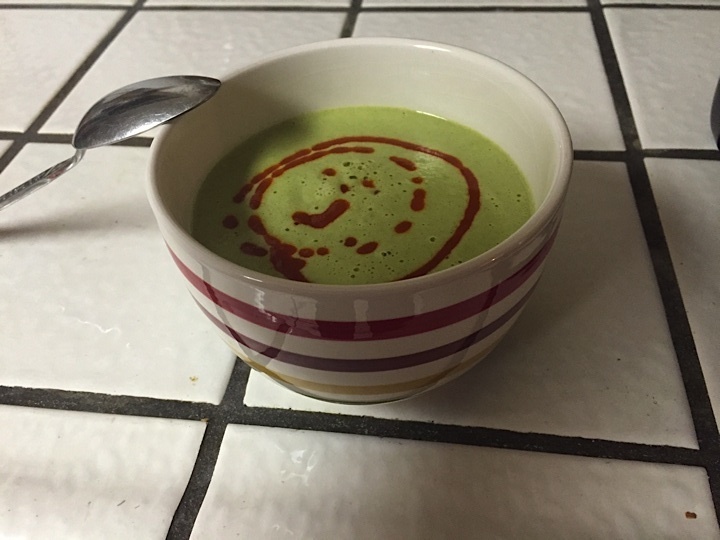 I turned a chunky broccoli soup into a whipped puree with added heat from smoked paprika. As an experimenter in the kitchen it’s important to know that I have a good base to start with, and I can have fun with new flavors. I can tell the Blendtec will give me that starting point for so many meals. The Blendtec is a high-end kitchen appliance, and it does require a pretty high investment up front, but I think I’ll make money back on it in a year. With an 8-year guarantee warranty, let’s say I’ll get at least 10 years out of this model. From making my own hummus out of a dollar’s worth of beans to making soup to bring to work instead of buying lunch, that’s immediately a few hundred dollars I’ll save in a year. Then don’t forget food waste. While cooking at home is almost always cheaper than eating out, I still hate to waste ingredients. Instead of throwing out the last bits of greens or herbs that have started to wilt, I can toss them into a smoothie with whatever fruit I have around as well. Next up: I’ll test out the messiest tasks in my kitchen to see if the Blendtec really lives up to its promises. Your washing machine has the key to better stain removal. If you’re not happy with your stain removal, start using the tools of your washing machine. When it comes to getting clothes clean, stain removal is often a separate issue and must be dealt with individually, depending on the type of stain involved. But what part – if any – does the washing machine itself play in this little stain-fighting drama? Technically washing machines are designed to wash clothes. Removing specific stains is not necessarily in the washing machine’s job description. 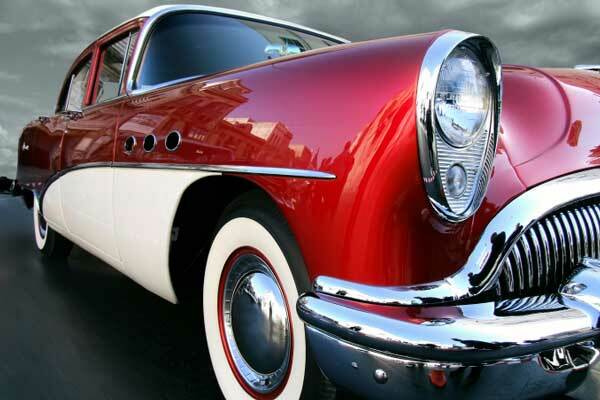 Still, there are some ways in which a washing machine can help with stain removal. 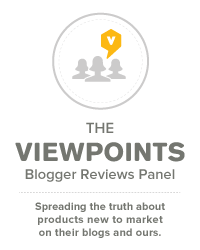 Check out Viewpoints’ top-rated washing machine reviews! Nasonex reviews claim that even though the nasal spray is prescription only, if you can tolerate the side effects, it’s good for relieving allergies. With the spring season in full swing, those of us who suffer from allergies need all the relief we can find. Over-the-counter allergy relief medicine only goes so far to relieve my most annoying allergy symptoms. To get my seasonal allergies under control when they are at their worst, I need a prescription-strength remedy, not the cheapest knock-off brand I can find. In my case, nasal allergy sprays are usually my first line of defense when my allergy symptoms start to flare up. From my experience, Nasonex is a good choice, if not the best choice for me. Nasonex reviews on Viewpoints back me up, rating Nasonex 88/100. Some of the best mattress deals of the year can be found Memorial Day weekend. 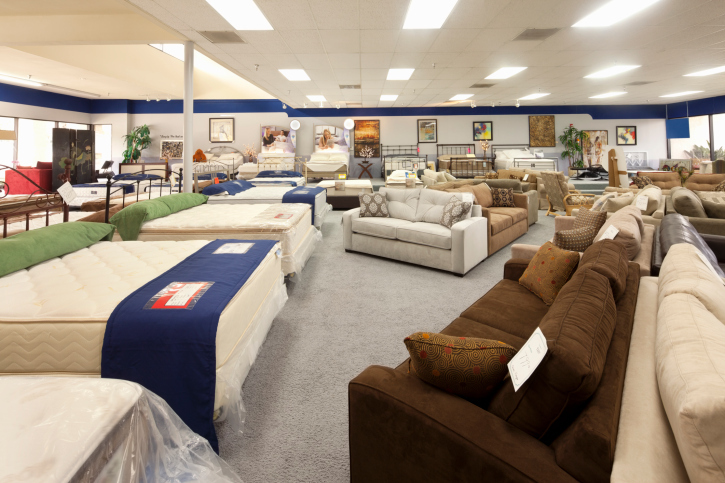 If you’re in the market for a new mattress, stop your searching and get ready to buy. Memorial Day is host to some of the best mattress deals of the year, and there’s something for every buyer at the the 2014 Memorial Day mattress sales. A MotoFloor Garage Tiles review from an expert mechanic warns homeowners away from this hard-to-maintain flooring. I’ve always found it interesting that the best auto mechanics take great pride in keeping a clean, safe workplace. From my experience, even a mechanic’s home garage looks like a showroom with crisp, shiny garage flooring, which only reminds me of how stained my concrete garage floor looks. Automobiles aren’t my forte, so when I needed useful information on which garage flooring to buy, I searched the Web for someone who knows their way around a garage. Here are the highlights of an expert’s review of MotoFloor garage tiles on Viewpoints if you’re deciding which garage flooring is best for you.